Music- and film-making are thriving businesses in Georgia now, but Georgia native Johnny Mercer—writer of such memorable songs as “Glow-Worm” and “Jeepers Creepers,” which were wildly popular in their day—successfully blended both during his long career. A recent book by New Georgia Encyclopedia author Glenn T. Eskew, Johnny Mercer: Southern Songwriter for the World (published by the University of Georgia Press), explores the life and global legacy of Mercer—one of the most prolific, successful, and popular songwriters of the 20th century. Modern American popular music developed as artists and other performers blended and adapted the sounds of the roots music traditions of diverse cultural groups. Migration and tourism provided opportunities for people to meet and hear each other’s tunes, but the commercial music publishing business and sound recordings sped up these processes. Right in the middle of it all was Savannah native Johnny Mercer, whose long career spanned the 1930s through the 1960s. Mercer wrote lyrics for more than 1,000 songs, and he performed and recorded with most of the major singers of the era. Broadway shows and Hollywood movies also featured his tunes, and Mercer cofounded Capitol Records in Los Angeles. At the time of his birth in 1909, Mercer’s family was prosperous. His father was a lawyer and investor. The family worshipped at Christ Church, and Mercer received a fine classical education. He also attended minstrel shows and plays, bought records, and eventually listened to the radio. Despite the color line, Mercer was surrounded by African American music within the urban environment of Savannah. After his father’s business failed in 1927, Mercer was unable to attend college and had to make a career for himself. He moved to New York and found work as a singer in traveling shows. His relocation made him part of what demographer James N. Gregory calls the Southern Diaspora. Between 1900 and 1970 an estimated 30 million white and black southerners left the region, in favor of the North and West. Mercer found many opportunities as a musician due to the influx of talents that gathered in New York. The New York music scene of the late nineteenth and early twentieth century was known as Tin Pan Alley. Most of the luminaries of this era were immigrants, and many were Jewish. Nonetheless, one of the genres that they found success with was the “back to Dixie” song. With his southern accent and jazz singing style, Johnny Mercer brought new authenticity to that genre. Mercer’s first published work came in 1929, “Out of Breath (and Scared to Death of You)” for the show The Garrick Gaieties. He also soon won a singing competition at the Hotel Biltmore, which opened doors for many other collaborations with white and African American artists. He wrote lyrics for such Big Band standards as Hoagy Carmichael’s “Lazy Bones,” and he also provided lyrics for many of the top singers of the day, including Billie Holliday. As the movie industry developed in Hollywood, there were many opportunities for lyricists and musicians, and many of Mercer’s New York collaborators began to travel west to take advantage of them. During World War II, Hollywood incorporated several Mercer songs into patriotic propaganda films, such as The Fleet’s In (1942) and Star Spangled Rhythm (1942). While the films may not be remembered broadly, songs like “That Old Black Magic” and “Tangerine” became standards for singers. Mercer’s movie songs garnered nineteen nominations and four Academy Awards, and he is perhaps best remembered for “Moon River,” the theme song of the 1961 film Breakfast at Tiffany’s. 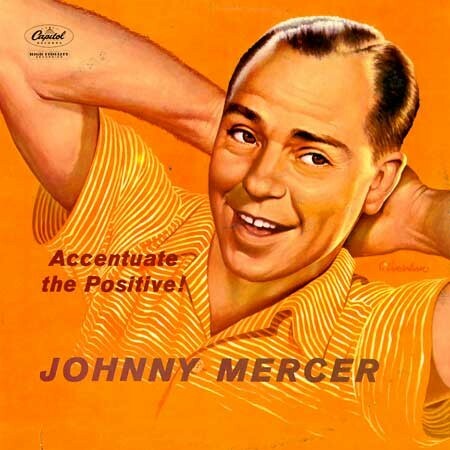 The next step in Mercer’s career came in 1942, when he cofounded Capitol Records in Los Angeles with Buddy DeSylva (whose wealth came through the movie business) and Glenn Wallichs (whose wealth came from owning record stores). Mercer worked as the “artists and repertoire” agent for the company, signing artists Peggy Lee and Nat King Cole, among others. He also incorporated innovative marketing strategies, including the design of Capitol’s signature Los Angeles headquarters, which resembles a stack of records. In 1955 Mercer and his partners sold Capitol to EMI, and with the proceeds from that sale, he returned funds to Savannah to repay the debts that had wrecked his father’s fortune in 1927. He indicated that he made this move out of a sense of southern honor. Not too long afterward, Mercer bought a home on Burnside Island, near Savannah, where he and his family would come on vacation and where he eventually retired. The 1960s saw the rise of rock ‘n’ roll, the next step in the trajectory of American music, which displaced the tunes of the Great American Songbook, with which Mercer is associated. In 1965, upon the invitation of a Savannah legislator, Mercer submitted a song to the Georgia General Assembly as consideration for a new state song, but it lost out to “Georgia On My Mind” by his old collaborator Hoagy Carmichael, which had been popularized by Albany-native Ray Charles on his 1960 album The Genius Hits the Road. Johnny Mercer died in 1976. His widow donated his papers to Georgia State University, and friends and family created the Johnny Mercer Foundation, which supports music education. Georgia politicians renamed the river that ran in front of his home “Moon River,” and the city of Savannah christened its municipal theater the Johnny Mercer Theatre. Singers around the world continue to perform his songs and to adapt them for use in movies and television shows. Laura McCarty is the executive vice president of Georgia Humanities.